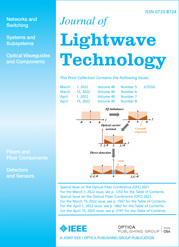 We report here the combined study of air/silica surface roughness and light scattering in a microstructured optical fiber designed for non-linear operation. Side polishing of the fiber gave access to the surface of the holes, and allowed measurements of their roughness by atomic force microscopy. The observed roughness topography, not reported in such fibers until now, consists of a rather regular arrangement of shallow patterns with lateral size in the micron range and amplitude in the 10 nm range. By comparing measured angle-resolved scattering patterns to coupled-mode calculations, we show that roughness-induced scattering loss can be linked to both the roughness and the overlap of fundamental with radiative modes at the air/silica interfaces. The reduction of surface roughness amplitude down to the thermodynamic limit could permit to strongly decrease the threshold of Raman fiber lasers.